There are all sorts of devices available for humans to monitor their own bodies during workouts. You can track your steps, heart rate, respiration rate, distance traveled, and countless other factors to better maximize your health and workout effectiveness. But what about your horse? Horses are athletes too, but there isn't really an easy way for you to monitor how your horse is doing during your rides. Until now. Enter Balios, a revolutionary device which can be attached to any girth. Balios gathers data during your horse's workout and records those sessions on your smartphone. You can monitor your workout in real-time, meaning that you can also adjust your workout appropriately so that your horse gets the maximum benefit. Have you ever thought that your horse felt just a little bit off, but you couldn't pinpoint what was going on? Balios has the ability to analyze asymmetry in your horse's movement, which could potentially alert you of lameness before it becomes a serious issue. Additionally, Balios can provide discipline-specific feedback. Analyze the path, speed, and trajectory of your horse's jump, or look at the path, cadence, stride length, and elevation of your dressage horse's movement. There is currently a Kickstarter campaign for Balios, through which you have a chance to support the initial stages of this product's creation. Additionally, be sure to check out the website for Balios. We'll do our best to bring you a product review once Balios is available. 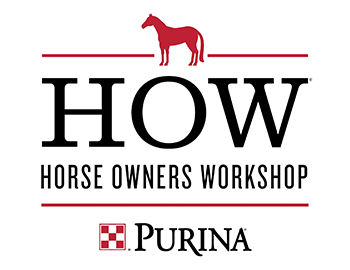 Shoreview, Minn. (March 18, 2015) ­— Purina announces its 2015 Horse Owner Workshop (HOW®) events. 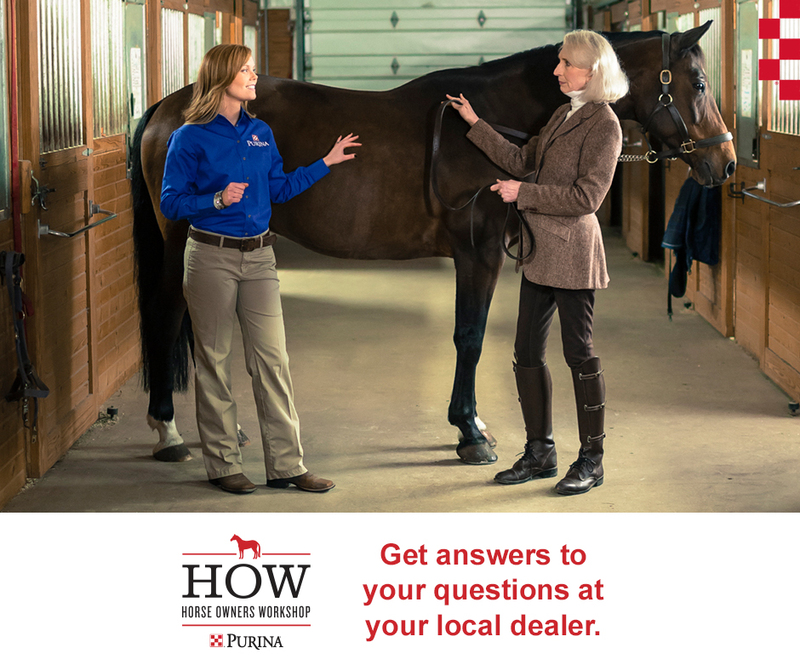 During this nationwide program, Purina retailers will host local education events from January – June 2015, sharing their expertise and knowledge of horse nutrition, management and care. At local HOW® events, horse owners can talk with equine experts and professionals in their area about the topics that matter most to them. Purina experts will share their experience and knowledge in nutrition, veterinary issues, health maintenance, care and training techniques. 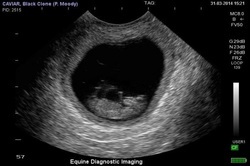 Find a free event by visiting purinamills.com/horse-feed/how. *NO PURCHASE NECESSARY. Maximum of one (1) entry per person. Enter at Purina® Horse Owners Workshop events or by mail. Sweepstakes starts 1/01/15 and ends 6/30/15. Visit purinamills.com/horse-feed/how to find a Purina® Horse Owners Workshop event and for complete rules. Void where prohibited. Click here for full sweepstakes rules. Sapphire, a Belgian Warmblood, competed at the top of the showjumping world with McLain. 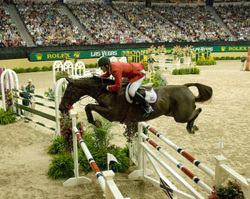 Amid countless victories Sapphire won the 2009 Spruce Meadows and the 2010 Pfizer $1 Million Grand Prix. 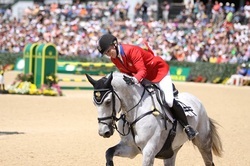 She and McLain helped the USA team win Olympic team gold medals in 2004 and 2008. 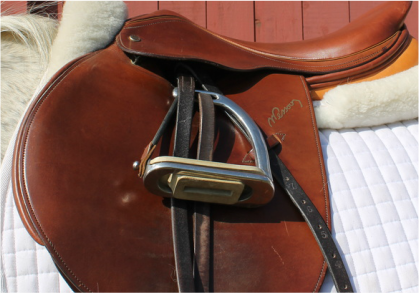 She was regarded as one of the top showjumpers in the United States when she was retired in 2012. "It is with incredible difficulty that I relate news of the tragic passing of my cherished partner RF Smoke on the Water. Along with four other RF Eventers including his close stablemate RF Demeter, "Smoke" had just returned to our summer base at Raylyn Farms in Maryland to begin a well deserved holiday following a brilliant weekend at Rolex, where he produced two double clear performances in cross country and show jumping. Two days after his arrival, during a late-morning habitual roll in the new bedding that had just been placed in his stall before he went out for the day, Smoke became cast against the wall and was struggling. 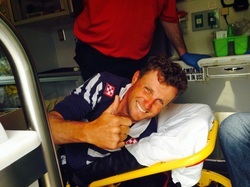 Though Raylyn staff and his longtime caretaker Emily Dufort were immediately in his stall to assist Smoke in righting himself, it became clear that Smoke had sustained an injury during his struggle. At the recommendation of Dr. Richard Forfa who was quickly on the scene at Raylyn to evaluate Smoke's condition, an emergency equine rescue service was contacted to transport Smoke to The Marion duPont Scott Equine Medical Center, where he has since been under the care of Dr. Martin Furr and his team. Based on examinations, imaging, system chemistry panels and consultations with other veterinarians, Dr. Furr suggests that Smoke had sustained undefined traumatic injury to his central nervous system while he was cast, possibly due to damage to the cervical or lumbar spine sustained during the ordeal. 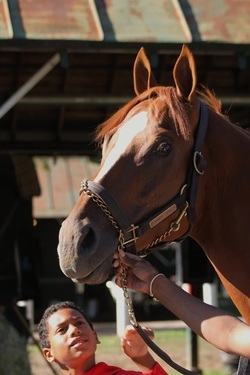 The tragedy of this day for myself and all of those that have been involved with this incredible horse that touched so many with his heart and live-loving outlook is indescribable. For me, Smoke was the most elegant of partners, a loyal teammate, and a truly wonderful friend. For others, he was a magnetic presence that you sensed was sure of himself in every way; his charismatic persona, can-do attitude, super-sized talent, thorough self confidence, prankster character, and acute awareness of his own stunningly good looks couldn't help but make you smile. Whether he was mischievously kicking up his heels in a dressage test, attacking cross country (his favorite pastime) at age 7 with the skill and wisdom of a 12 year old, or making light work of the show jumping phase in his debut 4*, Smoke squeezed every ounce of fun out of every day and put everything he had into every moment. Though I am so thankful for the time that I had with him and feel so blessed to have been a part of his journey, I am stunned by his sudden loss, and devastated for the many people surrounding him whose hearts he had captured. My deepest condolences to Phoebe and Michael Manders, who bravely partnered with me on a horse they had never seen, who was going to compete in a sport they knew nothing about (but have since come to love); I cannot thank you enough for your support and friendship. My endless gratitude to the team around Smoke that have tirelessly poured their hearts and time into this incredible horse, to help him reach for the stars, and ensure that his happiness, health, and spirit were all they could be: Karen O'Connor, David O'Connor, Haynes Stevens, Nikki Stokes, Chuck Jones, Roger Scullin, and Edwin Enzerink. A special thank you to Emily Dufort, who devotes her life to our wonderful team of horses and stands behind each and every success, and to my parents Ray and Lynne Little, who have jumped every jump with me and made it possible to have had Smoke in my life. Finally, my greatest thanks to RF Smoke On The Water, the mightiest champion with the wings on his feet; You were the littlest horse with the biggest of names. Thank you for your heart, may you always know that you have captured mine. You are forever loved, and you will always be missed my friend." 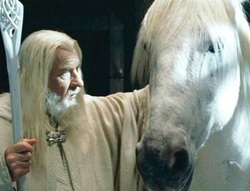 Blanco, the stunning grey Andalusian who played Gandalf’s mount Shadowfax in the Lord of the Ring movies, has passed away. Blanco’s owner, Cynthia Royal of California, reported that the horse suddenly became gravely ill. He was hospitalized for several days before his condition worsened and Royal was faced with the difficult decision of letting him go. In addition to his role in the Lord of the Rings series, Blanco also appeared in the Hercules movie and TV series, as well as in numerous commercials. This beautiful horse will be missed. The responsibilities of Connecticut horse owners were significantly changed on Wednesday, thanks to a ruling by the Connecticut Supreme Court. The Court ruled that the horse is “a species naturally inclined to do mischief or be vicious.” Supreme Court members deemed that horses are naturally inclined to bite. The court ruled that owners have “a duty to take reasonable steps to prevent the animal from causing injuries that are foreseeable because the animal belongs to a class of animals that is naturally inclined to cause such injuries.” This ruling means that owners can be held liable if a horse causes an injury that the owner hasn’t taken preemptive steps to prevent. While liability insurance is available to individual horse owners, the horse’s being deemed an animal "naturally inclined to do mischief or be vicious" could result in their becoming uninsurable. The ruling was prompted by an incident in 2006 when a boy was bitten by a horse he was trying to pet on a farm in Milford, Connecticut. The responsibilities of the horse's owner were called into question - if a horse is naturally prone to bite or be vicious, should the horse have been muzzled or kept in an area where people could not easily access him? We all know that some horses are more mischievous than others, and some horses may be more prone to bite or kick than others. But ruling that all horses are naturally vicious is an extreme step, and one that could have significant implications for horse owners down the road.